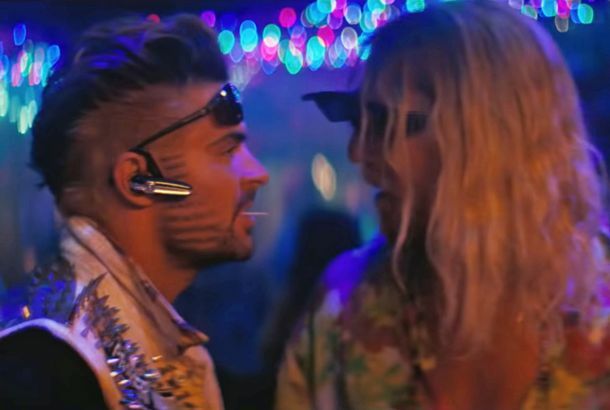 The Beach Bum Trailer: McConaughey Pisses Away His Talent on Women and BoozeFeaturing a coke-addicted parrot. Zac Efron Has Dreadlocks Now2018 gonna 2018. The Greatest Showman Is the Fakest Show on EarthMusicals are inherently fake — they can be ecstatically, transcendentally fake — but this is a whole other level of disingenuousness. Here’s a Video of Zendaya and Zac Efron Slamming Into Each Other on a TrapezeIt looks painful, but it is also funny. How Zac Efron Got So Hauntingly Swole for BaywatchWe talk to his Baywatch trainer about how, exactly, we (and Zac) got here. New The Greatest Showman Trailer: Hugh Jackman Sings!Hugh Jackman’s long-gestating P.T. Barnum biopic will be in theaters this Christmas. Movie Review: Baywatch Has Ironic Jiggles, a Few GigglesDwayne Johnson and Zac Efron make a fine pair of chiseled clowns. Male Stars Are Too Buff NowI’m worried that our current leading men are just one scoop of protein powder away from total renal failure. Zac Efron Is Ted Bundy in the Biopic Extremely Wicked, Shockingly Evil and VileIt’s always the quiet ones … who have been doing a lot of comedies lately and want to show off their diversity of range. The Rock and Zac Efron Fight Crime, Prevent Sunburns in The Baywatch TrailerOf course, there’s some running in slow motion. Baywatch Trailer Runs in Slow Motion to Super Bowl LIZac Efron frees his patriotism. Watch Efron and the Rock in the Baywatch TrailerComing May 19, 2017. Zac Efron’s Baywatch Character Is Surprisingly Similar to Ryan LochteAccording to the Wrap. Mike and Dave Subverts Female and Male NudityNaked bodies can be funny, regardless if the person has a hoo-ha or a ding-dong. Michelle Williams in Talks for Circus MusicalTitled The Greatest Showman on Earth. Zac Efron and Adam DeVine’s Fans Might RumbleNot even Adam DeVine’s relative “treasure troll”-ness can tear these two buds apart. Zac Efron Is in Talks to Do a Musical Again, Thank GodThe Greatest Showman stars Hugh Jackman and tells the story of P.T. Barnum. You Can Buy Zac Efron’s Dirty Grandpa Jockstrap, and Why Wouldn’t You?It looks like a hornet, which is a metaphor for Zac stinging all of us. Neighbors 2: Sorority Rising Is Only Woke About the Need to Be WokeAt its heart, this movie is still about men figuring stuff out. Rogen and Efron Fight Zombies in Neighbors 3Zac Efron is a thirst trap and Seth Rogen has a sword — what else do you need? 10 Comedy People to Watch This Summer Movie SeasonIncluding an actor trying to cross over as a comedy star, another working to establish himself overseas, and an SNL standout whose future superstardom is a given. 6 Supreme Memes of Zac Efron’s Baywatch Face-plant Thanks, internet. Conan Plays Mario Kart With Rogen and EfronThis is the frattiest thing that has happened on late night in a long time. Mike and Dave Red-Band Trailer Is HereS.O.S. A Few Poems About How Ridiculously Ripped Zac Efron Is Right NowThank you, Baywatch? Corden, Efron, Kendrick Reenact Sports MomentsFrom Rocky to Chariots of Fire, and Hoosiers to High School Musical. Who’s Better at Moonwalking: You or High-School Zac Efron Dressed As Snoopy?You tell us. Neighbors 2: Sorority Rising Trailer: Women Can Be Bad Neighbors, TooSeth Rogen, Zac Efron, and are Rose Byrne back. The High School Musical Gang Is ReunitingThe boys (and girls) are back. Watch Zac Efron’s Disarmingly Charming Sesame Street AppearanceElmo is freaking annoying in this video, though.